The Electoral College was established by the U.S. Congress in 1789. Why? The founding fathers did not like the idea of a popular election. They were concerned that presidents would always come from states with high populations. They also wondered if the public would have the knowledge necessary to make a wise choice. Obviously, they did not have 24-hour news services as we do today! The Electoral College is not a “college” at all but “electors” chosen from each state. 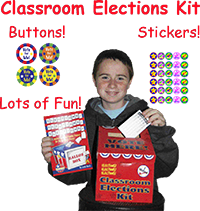 The Electoral College process is used to select the president and vice president of the United States. The people in each state vote for the president. The results in a state determine which electors are selected for that state. All the electoral votes for that state go for the candidate that gets the most votes in that state. The electoral votes for all 50 states are added and the candidate with the majority of the votes wins! How Many Electoral Votes Does Each State Get? 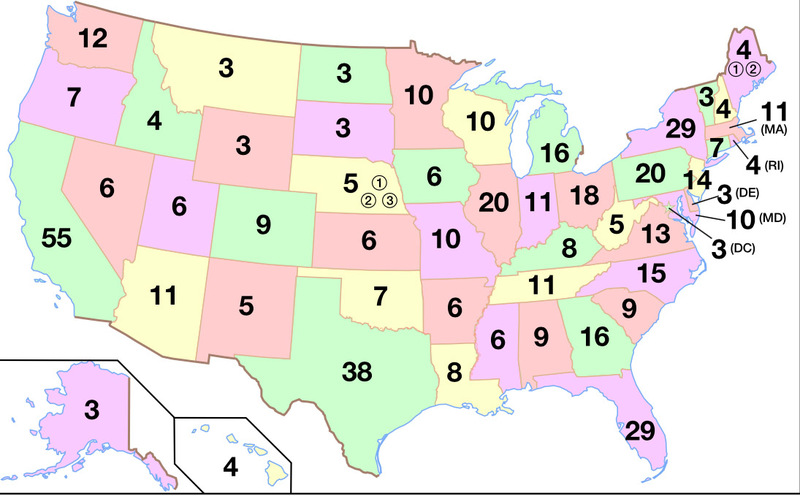 Remember, the number of electors from each state is based on the state’s representation in Congress. For example, the most populous state, California, has 55 electors. The least populous states—Alaska, Delaware, Montana, North Dakota, South Dakota, Vermont, and Wyoming—have three electors each. How Many Electoral Votes Are Required to Win? There are a total of 538 electoral votes. To be elected, a candidate must receive a majority of the electoral votes—at least 270 votes. How do we arrive at 538 electoral votes? 3 electors for Washington, D.C.